A kid’s birthday party is the perfect opportunity for parents to go crazy with candy. Sure–presents and goodie bags are to be expected–but what about decorations? Candy decorations can really add whimsy and fun to any event, turning an ordinary birthday party into an exciting, creative, and most of all mouthwatering candy-themed party. Most kids would be in heaven just eating these sweet treats. 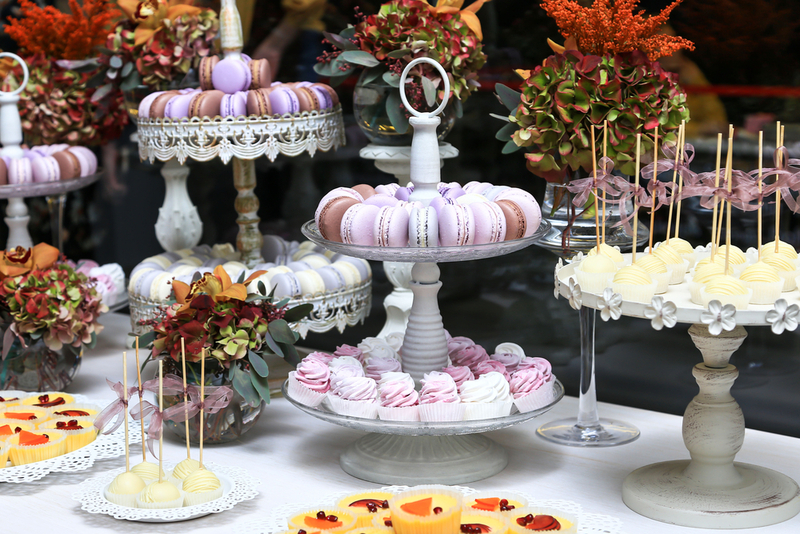 But who hasn’t dreamed of a party where the very décor itself is edible? You don’t need a chocolate river, lickable wallpaper, or candy teacups to make your kids feel like they’ve just walked into Willy Wonka’s chocolate factory. There are plenty of ways to use candy as party supplies – and we’ve put together the ultimate guide. 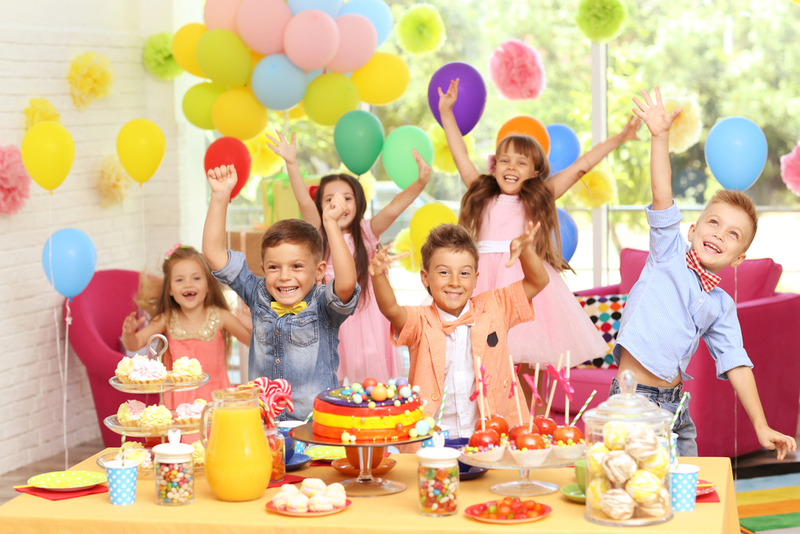 Scroll down for tips on how to elevate your next kids’ birthday party into a magical, delicious, candy-themed party. 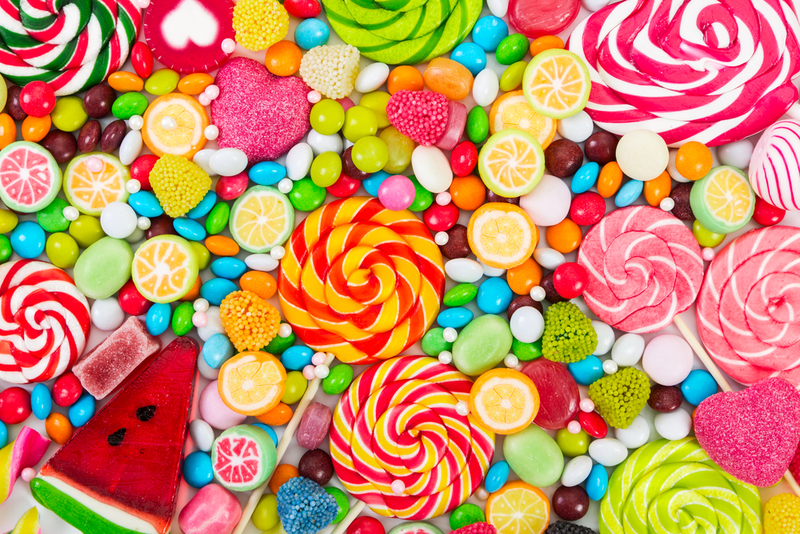 If candy land is what you’re going for, then go big! 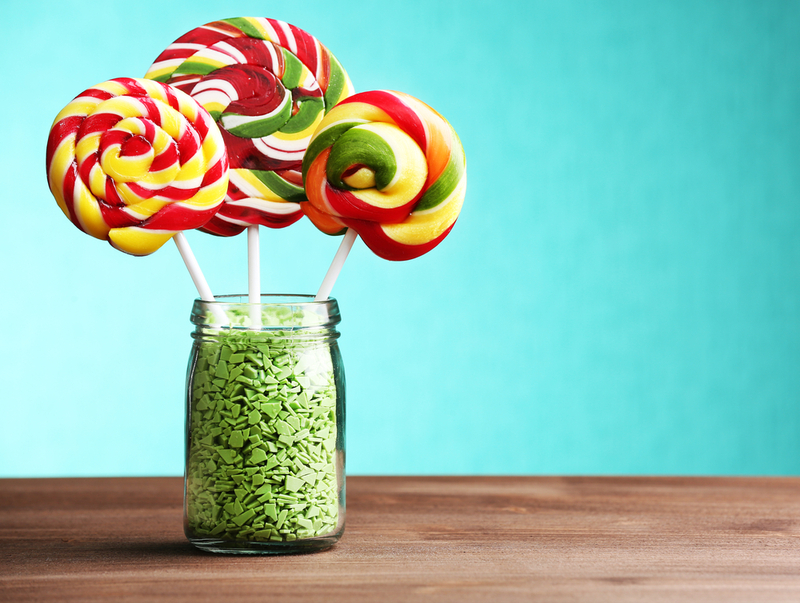 Find giant lollipops to decorate the cake table with and fill large glassware with different kinds of colored candy. Go for height so the kids will be in awe of the magnitude of the décor. Candy necklaces and bracelets aren’t just great party decorations you can wear – they also add a slightly retro vibe to your kids’ event. These colorful, deliciously crunchy pieces of “jewelry” can be worn for candy-themed tea parties, or even just alongside friendship bracelets for a girl’s birthday. Bonus points if you set up a make-your-own-candy-bracelet station! For that unicorn-like, dreamy candy land theme, you need cotton candy — and lots of it. Use this sugary treat as an inspiration to make giant cones that you can use to decorate the ceiling. Use a color that continues the theme, like pinks and greens for a springtime party. 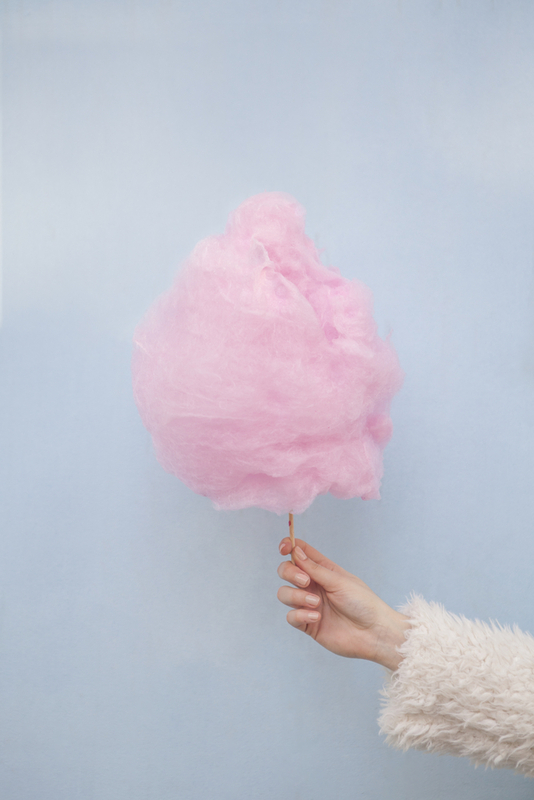 Cotton candy will make your kids feel like they are on cloud nine. And with all that candy there, it will only feel that much more exciting! Gummy bears have been a trendy addition to food and drink for years – just ask anyone who’s ordered off the secret menu at Jamba Juice. 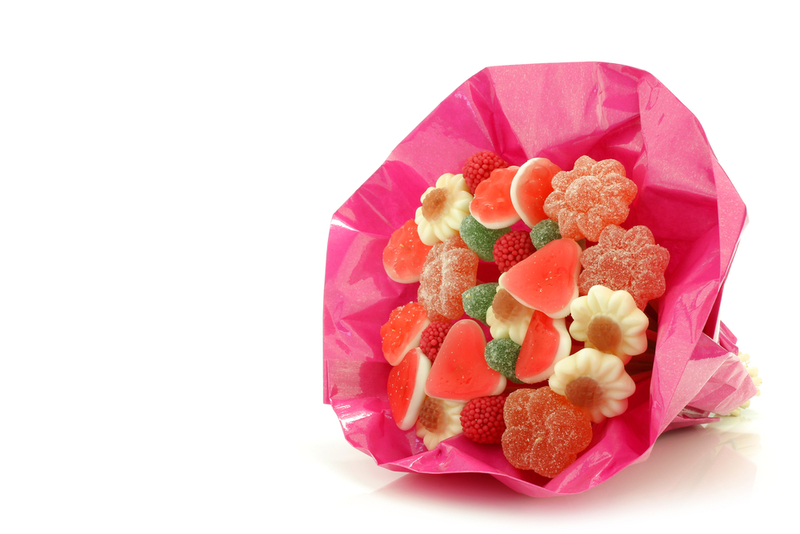 Lucky for all you gummy lovers out there, the gummy bear craze is perfect for birthday parties too! Small packages go great in goodie bags, while the colorful pieces also work well as toppings for cake, yogurt, ice cream, and even desserts like donuts. Even if you have enough candy to feed all the kids in town, the cake will always be the centerpiece of the bash. Don’t forget to tie the cake into the overall theme of the party decorations. If gummy bears are used for that bear-themed party, for example, decorate the cake with gummy bears. Or if giant lollipops are the main attraction, add lollipops on top of the cake. Sure, it’s probably enough just to have lots of sweets decorating the place. But if you want to go all out for your kid’s candy-themed party, there are plenty of ways to continue the theme throughout the rest of the party’s décor and activities. Check out more ideas for candy-themed party favors and games below! Candy comes in an endless variety of colors, and this makes it the perfect décor accessory to build on your kids’ birthday party theme. You can go for pinks and whites if your kid is the ultimate party princess, or use blue and green candy for a summer party. You can accessorize with gold candy to create a luxurious table full of decadence, or use reds and blues together for a circus-themed bash. Once the edible treats are stacked and ready for indulging, then you can focus on the other décor to create the ultimate candy land party. Balloons are always great. Use them to make giant lollipops or wrap them in plastic so they look like giant candy. Decorate the ceiling and the walls with soft-colored paper strings that look like giant candy necklaces. 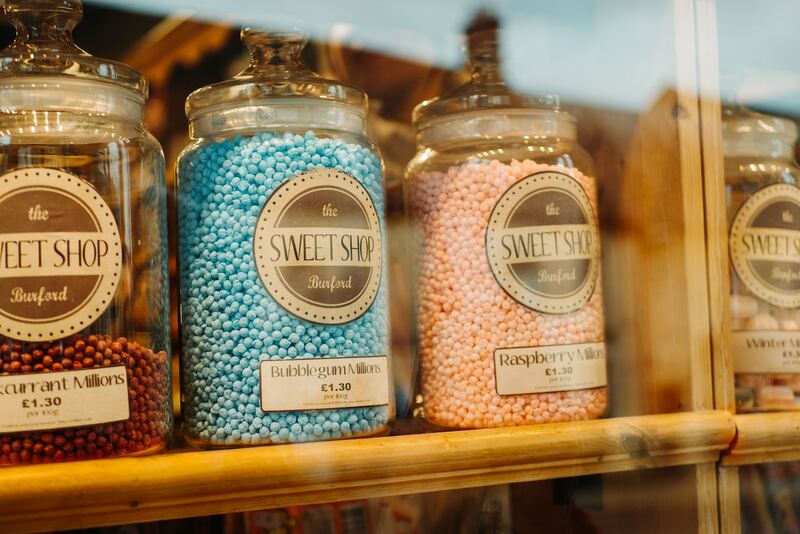 Now every corner of the place will feel like a candy wonderland! This works especially well for nighttime or sleepover parties, but any candy-themed party will do if the kids are up for it. Set up Willy Wonka and the Chocolate Factory on the TV, or for kids who love board games, actually break out the Candy Land set. 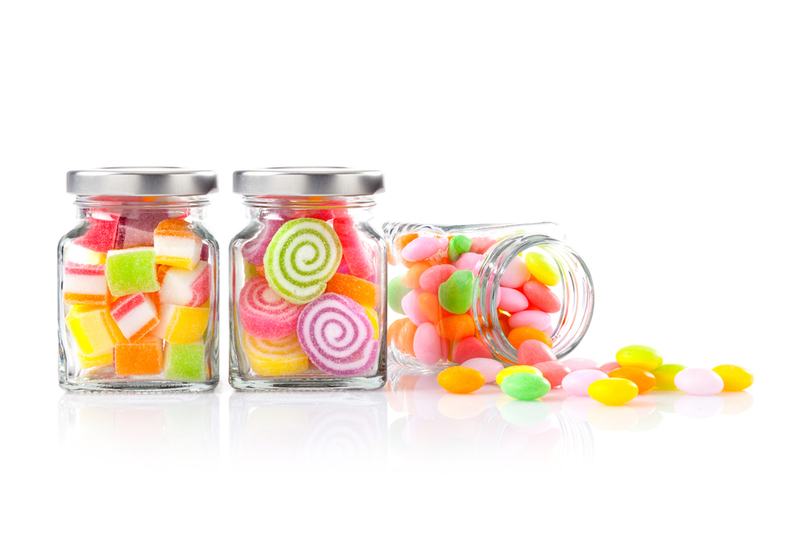 You can even host candy-themed games (because who doesn’t love candy prizes?). A piñata isn’t the only way to make candy competitive! Candy does something to us, doesn’t it? Even the sight of it can get us all excited, so when our kids’ birthdays come around, it’s normal to want to go big and create a magical candy land that will make us too feel like a kid – at least for a day. Need more inspiration when it comes to candy decorations for birthday parties? 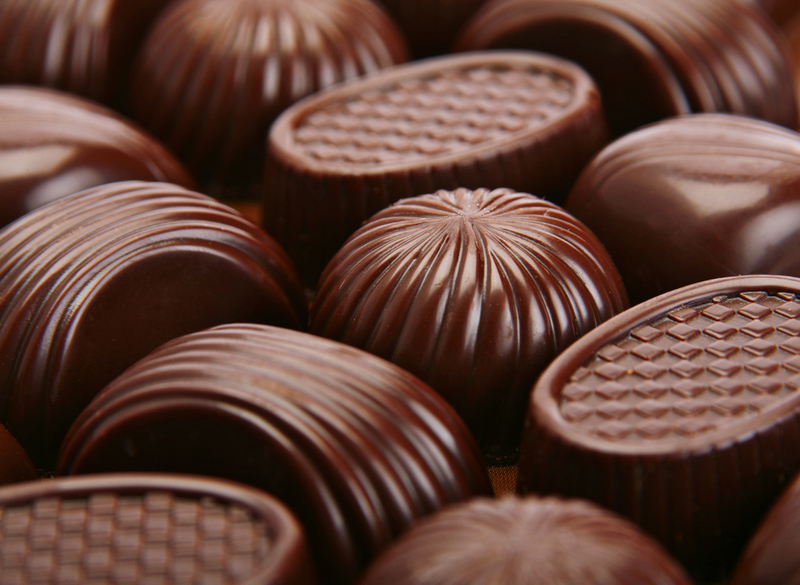 Check out our candy boxes’ gourmet selections and see if your imagination doesn’t run wild.